The Vietnam War has brought so much sorrow to both civilians and soldiers. 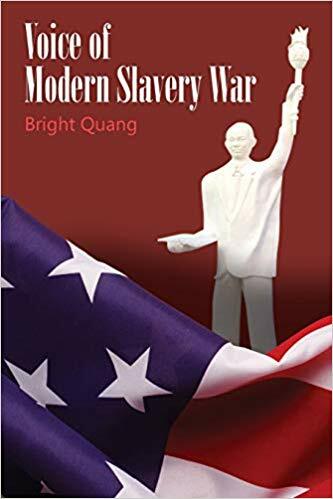 Bright Quang, one of the prisoners of war during the Vietnam War, regards himself an eyewitness and he would like to share this experience through his book, Voice of Modern Slavery War. Bright Quang was detained by several concentration camps in South Vietnam during the Communist Regime from 1975 to 1981. By November 1993, Bright Quang was able to flee to the United States by means of the Humanitarian Operation program. Through Voice of Modern Slavery War, Quang shows how the violence of war has affected the lives of the people: the grief of losing loved ones, losing their home, and losing their nation. Having experienced the barbaric events of war, Quang aims to inform readers of the involvement of the United States of America during the war and the mastermind behind it. The book also points out how Quang became a prisoner of war and was later labeled a refugee. “I only tremble from my poor intelligence, but never tremble from my poor life,” says Bright Quang. See the cruelty of Vietnam War through a Vietnamese eyewitness in the pages of Voice of Modern Slavery War. Book copies are now available in selected online bookstores. Bright Quang is an author, poet, sculptor, and specialist painter. He came to America in November 23, 1993, from Vietnam. Aside from his education at South Vietnam, Bright Quang received a bachelor’s degree from California State University, Hayward, in 2003. He now resides in Redwood City, California, with his family.